Tactically located in the global city of Shanghai in China, our strategic sourcing function is focused on solutions-oriented suppliers and enables us to procure – any product from anywhere in China on time. With deep insight and in-depth understanding of the Chinese markets, and cross-cultural knowledge including language proficiency, we have been bringing products to customers for over 10 years now. As the integrated window for everything in the country, we provide value for money, while reducing wastage and optimizing time. Building on our category expertise, we provide best practice support, including better sourcing decisions, more efficient negotiations and cost reduction. With a stable and reliable network of vendors and customer resources, we identify the right supplier and price, undertake quality checks, and further – until finally signing the deal, our international team of experts are committed to putting customer needs first. We take responsibility for quality control and precise shipment, and provide additional services like sourcing product consultancy and more. As we continue to globalise our export strategy, we have reaped the rewards of sourcing from a powerful economy like China for many years now. China has ample supply of trainable entry-level professionals, which forms the backbone of the country’s manufacturing industry. After 30 years of economic development, China’s transportation, telecommunications, and network infrastructure have now emerged as the most excellent in the world, and in excess capacity. Labour is skilled, disciplined, cost-efficient and available at plenty. These factors combined with matchless strength in manufacturing gives it a winning edge. China has other obvious advantages over other service providers, including high-speed Internet and broadband access, stable and uninterrupted dual power supply in main software sites, and around 150 airports that connect most primary and secondary cities. China’s status as a global manufacturing center gives it a unique advantage in providing offshore R&D services—an emerging industry. Additionally, China’s proximity as well as linguistic and cultural similarities with countries in North Asia gives it an edge as an outsourcing destination. Cities in Northeast China such as Dalian and other regions have gained ground in the outsourcing markets of Japan and Korea. China is expected to be the world’s biggest manufacturing nationin the world and a key ‘world factory’, when it may end the U.S.’s 110-year run as the number one country in factory production. [IHS Global Insight, a US-based economics consultancy]. An Industry Week research in March 2011 puts China’s global manufacturing output at 19.8%, while USA produces 19.4%. But US productivity is 8 times that of China. However, a BCG May 2011 survey says that China wages are growing at 17% per year, US are growing at 1.3% and that Chinese and US labor costs will converge by 2015. 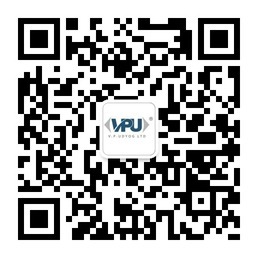 At VP Udyog Ltd., we stand to gain from China’s greatly improved cost structures, robust product and process innovation arising from increasingly sophisticated and diversified supply bases; a low cost, highly-skilled labour pool that can support production and R & D, low cost plants and equipments, government incentives and an exploding economy. Together, they make the Chinese environment ideal for strategic sourcing and building our culture of value, precision and trust.In each stage, the sourcing environment becomes increasingly complicated. And we need to continuously renew ourselves to meet the emerging challenges. 70% of the world’s umbrellas are made in China. 60% of the world’s buttons are made in China. 9% of Chinese goods sent to the U.S. end up on Wal-Mart’s shelves. 72% of U.S. shoes were made in China. 85% of all U.S. artificial Christmas lights are made in China. 50% of U.S. kitchen appliances are made in China. 50% of U.S. toys are made in China. Fueled by the wave of China sourcing, the sheer magnitude of Chinese markets is both an opportunity anda risk. There are several factors like differences in cultural and business norms, language issues and lack of transparency in the Chinese supply market. Further, there is a need to understand supply-market dynamics; fine-tune sourcing processes and integrate this into the global supply chain. In such a scenario, we aim to match customer expectations with precision. Representing our customer’s interest, we negate middlemen and provide a range of turnkey vital sourcing solutions: we gain an in-depth understanding of their requirements, enabling us to match them with appropriately-evaluated vendors, negotiate contracts negotiations, sampling, and trial orders, customize products, quality checks, logistics, and undertake consolidating or central warehousing. This means that while ourcustomer focuses on the product and his customers, we focus on bringing the two together in the best manner possible.Through a professional and ethical approach based on delivering precision and trust, we have created a steady base of satisfied customers who rely on us to source the finest products from China, adding the maximum value. While exporting from China may be an exciting business opportunity for most companies, the effort required to hire, train and manage a team of local employees can be daunting, especially for businesses new to China. We offer a strong and direct China presence to our customers, enabling them to reduce overheads, miscommunication, errors and even deception; and enhance profitability, efficiency, lead time and quality – by outsourcing turnkey China sourcing functions to us. With our integrity, strength and experience, we keep quality of goods as the key focus area in building and sustaining our comprehensive system of sourcing from China. Our central warehousing function provides a central, secure and reliable environment for inspection – including in-bound quality control, in-process QC, and final QC leading up to assembly, packaging and freight consolidation. Over and above this, our technicians follow international quality standards, strictly adhering to SOPs checking for compliance with contract terms and requirements of the destination country and with customer needs. A key challenge that can become pressing while sourcing from China is language. Many companies find themselves unprepared to deal with this issue, and therefore limit the potential range of products they can source from China. Our competent team of translators helps unlock this potential in more ways than one. They accompany our customers to conduct free-flowing business with Chinese speakers and to their visits to exhibitions, forums, meetings, dining – benefiting from value additions, while getting introduced to the Chinese etiquette and cultural sensitivity. We also offer translators to accompany our clients to conduct business with Chinese speakers and also accompany them to their visits to exhibitions, forums, meetings, dining and all this while getting introduced to the Chinese etiquette and cultural sensitivity.